The chapter presents an extended version of a quality-driven, MDA-based approach for database system development. The extension considers the relationship between successive models in the MDA approach. In particular, it gives rise to the introduction of domain ontology as a model preceding the CIM model as well as allows assessment of the extent to which the successive model is conformant with the preceding model. The chapter consists of four parts. The first part gives a short presentation of quality models and basic MDA concepts. The second one discusses the specific relationships between software development and quality assessment processes. The third part presents the Q-MDA framework and the proposal of a new quality characteristic (model conformance) with some measures for assessing the quality of a specific model in the context of other models. The last part contains an example of the framework application limited to the proposed quality model extension. As a software system is a kind of a product which is developed in a production process therefore its quality may be considered in two perspectives: the product quality and the development process quality. The perspectives are strongly interrelated, for example, in shipbuilding industry, which is more matured discipline compared to software engineering, the controlled quality over the design and building process is necessary to guarantee the quality of a ship – the final product. In software engineering the quality of software development process also influences positively on a quality of a software product but does not guarantee expected quality of the product. The software development process may be considered as a sequence of activities that deliver different artifacts. At the beginning of the process software requirements, both functional and nonfunctional, are defined usually on the base of the business model. At the end a final software product is delivered. Other activities deliver intermediate artifacts. The quality of the intermediate artifacts influence the quality of the final software product. 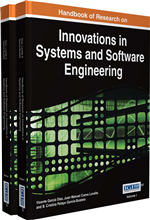 The chapter abstracts from the quality of software development process, and concentrates on the quality of the software product and its relationship to the quality of intermediate artifacts. Physical Data Model: Model of a database expressed at platform dependent level in the way accepted by a specific database management system. Beside the data it can also contain implementation of business logic in the form of stored procedures or transaction definitions. Conceptual Data Model: A model of a database expressed at platform independent level; describes entities from a considered domain, properties of these entities, and the relationships between entities. Quality Model: A set of selected quality characteristics and subcharacteristics together with the assigned measures . The quality model provides the basis for specifying quality requirements and evaluating quality. External Quality Model: A kind of quality model which represents the perspective of a final user which uses the software product in a specified environment and a specific context of use. Internal Quality Model: A kind of quality model which represents the perspective of a software developer and relates to the intermediate artifacts that are produced during software development process. Quality-Driven MDA Framework: A framework for model-based software development aiming at producing high quality software products; It integrates two complementary processes: MDA approach and quality specification and evaluation process, defined mainly in the ISO/IEC 9216 series of standards. Ontology: An explicit description of a domain. It introduces a common vocabulary which enables to uniform interpretation of domain knowledge and understanding and explaining the concepts of domain. Most ontologies describe individuals (instances) classes (concepts), attributes, and relations. Quality and Evaluation Model: A quality model with assessment functions .